For much of this past year, Marvel Studios has been content to sit back and let the fans give them free advertising for the upcoming Avengers: Endgame. But with the film now exactly one month away from dropping, it looks like some official promotion is starting to work its way into public spaces across the country. 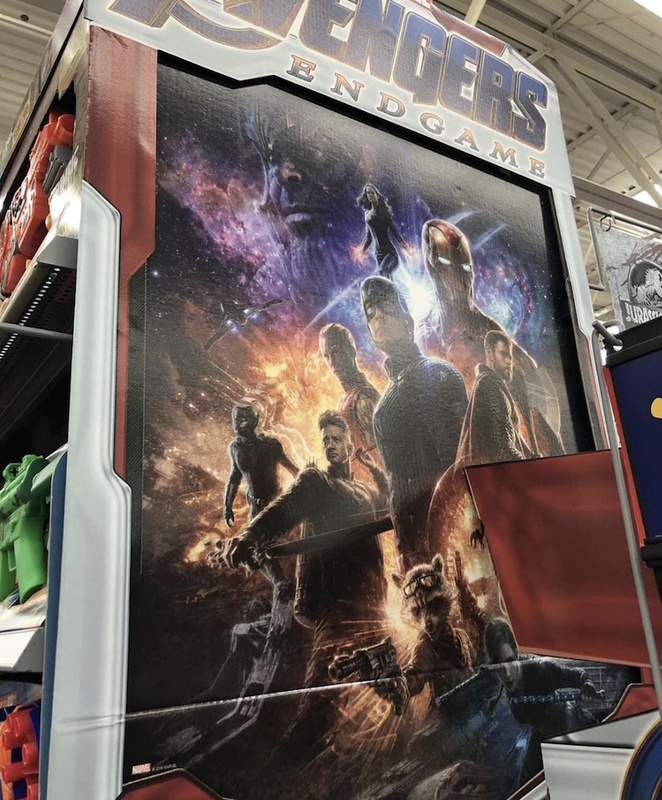 Just take this newly unveiled endcap, which was reportedly spotted in a Jacksonville Walmart and has since been shared by Toy Shiz via Instagram. What we’re looking at here is essentially the same design that featured in some concept art that emerged earlier this month. Once more, Earth’s Mightiest Heroes have been put against a backdrop that suggests both outer space and the Quantum Realm, though one new inclusion is the face of Thanos, which looms ominously above them in the cosmos. The above image has already led to speculation that the team might be taking a trip to Nidavellir, which ties in with the old theory that the Avengers may seek to reverse the Snap by creating a new Infinity Gauntlet. Granted, this is just one of many predictions that have been making the rounds ever since the release of Avengers: Infinity War, but it’s not long now before we finally get some official answers. In the meantime, theater chains have started making preparations for the film’s imminent arrival. In some territories, tickets have been available to book for over a week now, and while fans in North America are still waiting for the opportunity, signs indicate that pre-sales will open very soon. After that, it’ll just be a short wait before Avengers: Endgame hits theaters on April 26th and brings the current MCU era to a close.